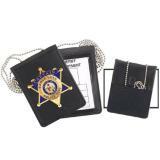 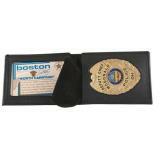 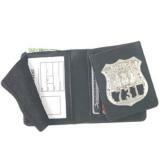 Every police badge needs a badge wallet to keep it safe when you carry it on duty. 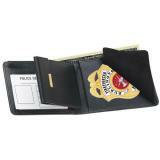 A good badge wallet protects the badge from damage and makes it easy to carry around. 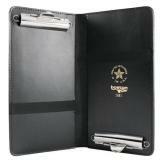 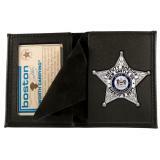 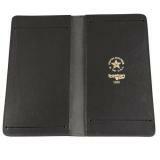 Our selection of badge wallets includes models from trusted law enforcement equipment manufacturers, including Boston Leather, Gould & Goodrich, and Strong. 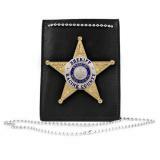 The simplest form of badge wallet consists of a piece of leather or other material with a recessed cutout shaped to fit your badge. 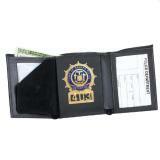 These typically come with a clip that allows you to carry them on the belt or on clothing. 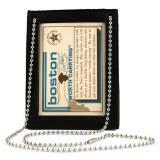 Some examples of this style come with swivel clips, so you can set them at a variety of angles. 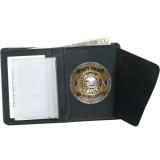 Flip-out badge wallets are also a popular way to carry around a badge. 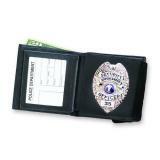 In addition to the recessed badge holder, these usually also feature a clear ID window so that you can carry an identification card alongside your badge. 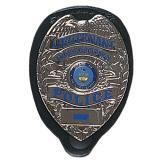 Often, they also contain a flap made of suede or another soft material to protect the badge from abrasions. 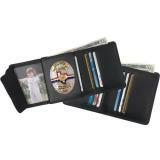 They can also typically be used as a wallet, with sections for cash and cards. 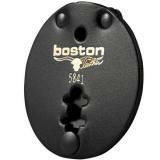 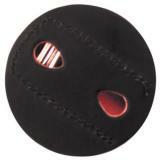 This style provides more protection than the simple cutout design, although they also have some added bulk. 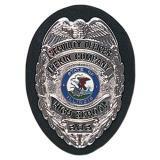 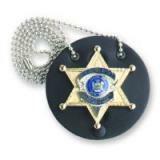 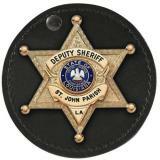 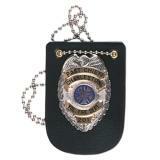 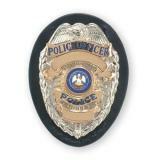 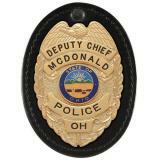 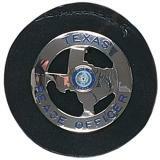 Often, this style is custom-cut to fit your specific model of law enforcement badge. 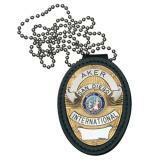 Around-the-neck badge holders can be worn discreetly underneath clothing, perfect for undercover work. 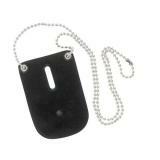 Worn on a lanyard or chain to provide hands-free portability, they can be worn overtly or covertly with equal ease. 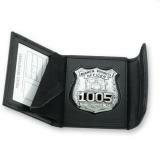 This style may only carry a badge in some instances, while other models also provide space for an identification card. 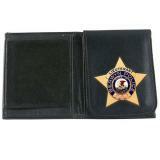 Like a lot of duty equipment, most badge wallets are made from leather. 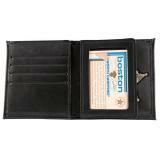 However, synthetic materials are also popular thanks to their light weight and resistance to wear and weather conditions.